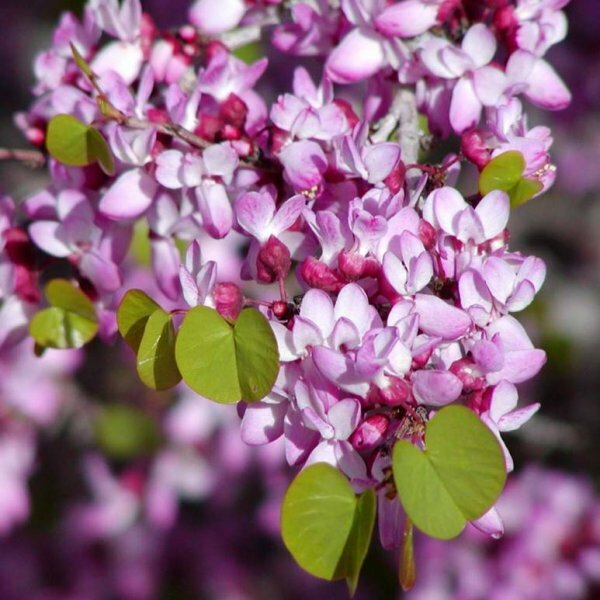 Larger in leaf and flower than eastern redbud (Cercis canadensis), this Chinese native makes a beautiful shrub or small tree for sun or light shade. The bright purple-pink pea-flowers cluster along the upright gray branches in mid-spring, before the large, glossy, heart-shaped leaves emerge. Abundant green seedpods follow the flowers, maturing to brown. The leaves turn dull yellow in fall. Less cold hardy than eastern redbud, Cercis chinensis shares its preference for well-drained, acidic to slightly alkaline soil. 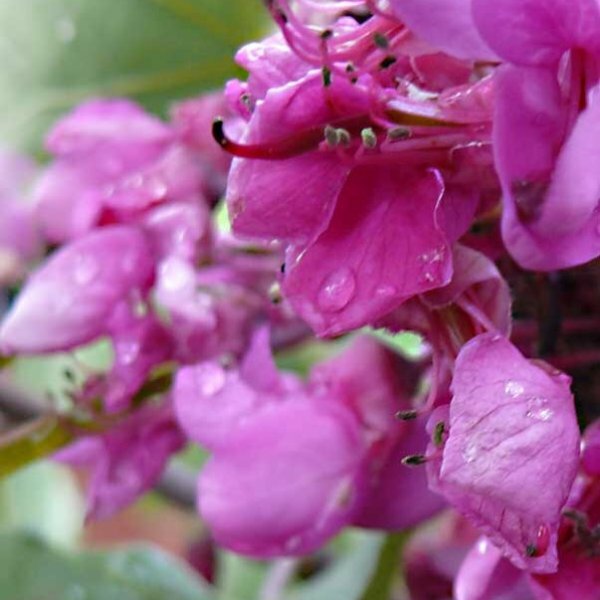 Heat tolerant, it has proven its mettle in Southwest and Southeast United States. Its bold handsome foliage, showy flowers, and relatively compact habit make it an excellent candidate for foundation plantings and mixed borders. Germination 1. 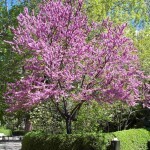 Place the redbud seeds in a heatproof bowl. Cover the seeds with boiling water and let them soak for one minute. This is one method of seed scarification, which makes the hard seed coat permeable. 2. Place a handful of sand in a plastic bag. Moisten it without creating a soggy environment inside. 3. Add the scarified redbud seeds to the bag of moist sand. Close the bag and store it in a refrigerator for five to eight weeks. This seed treatment is known as stratification, which takes the embryos out of dormancy. Check the moisture level inside the bag once a week, sprinkling the sand with water when it begins to dry. 4. Hoe the planting site to remove weeds. 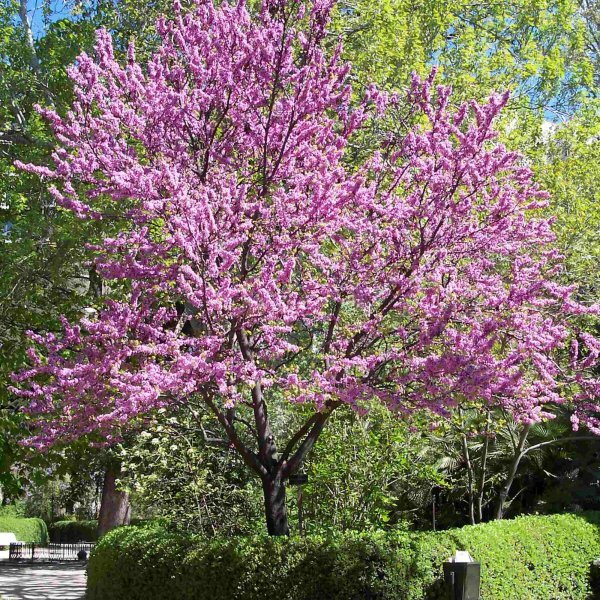 Redbuds thrive in shade, but sunlight affords them the best blooming. If possible, sow the seeds where the tree will have some shade during the hottest part of the day. Select a site that drains within one hour of irrigation or normal rainfall. 5. Loosen the soil with a pickax and shovel and smooth the surface with a rake. Dig a furrow ¼-inch deep for three to five seeds. Planting more than one seed increases the odds that one will germinate. Thin the seedlings to the ones you want to keep after they begin to germinate. Because redbud trees don't transplant well, direct sowing is a better option to increase the survival rate over germinating the seeds in pots. 6. Irrigate the seeds at planting and maintain moist soil throughout germination. Hydrate the plants to the root zone when the soil surface begins to dry. 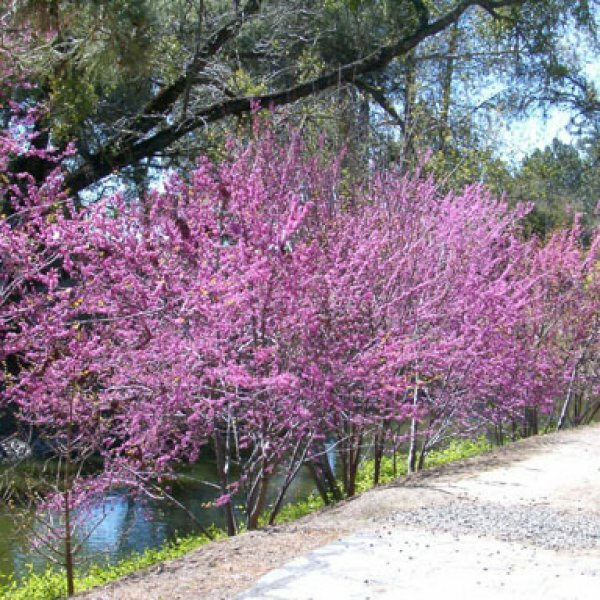 Redbud trees are tolerant of drought but perform best when the ground stays consistently moist during hot summers.